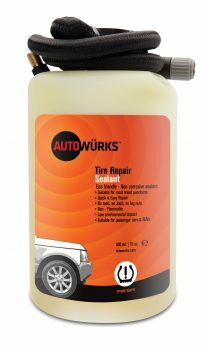 Our research partner has been a front runner in tire sealant technology since 2006. The R&D facility features innovations such as the worlds first test cell with an in-tire camera to monitor sealant behavior over various speeds, load ranges and inflation scenarios in real time. 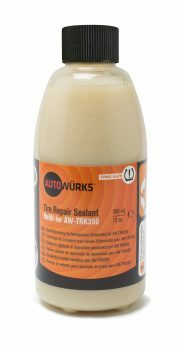 The first particle-based, valve through sealant for the OEM vehicle market was introduced in 2008. 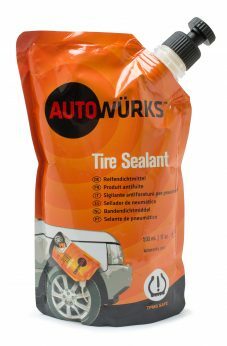 Created in conjunction with Natures Organics, this second generation formula is non-latex based using particles and non-toxic carriers to create a highly effective sealant that it is harmless to pets, humans and the environment, will not damage TPMS sensors or clog valve stems, won’t harm rims or paint and cleans up easily with water.